Transport yourselves back in time this Christmas and witness all the thrills of the outstanding Medieval Winter Wonderland celebration. Situated at a top venue in the city’s St Katharine Docks, you and your guests will enjoy an evening that’s fit for royalty, with a mouth-watering five course feast and incredible entertainment from a talented cast. As you step into this historic vaulted venue, you’ll receive a warm welcome and will be shown to your table, where a night of medieval extravagance awaits! Admire the striking Winter Wonderland theming and stunning décor of the event space as you enjoy the complimentary wine and ale on your table. A non-alcoholic alternative is also available on request. 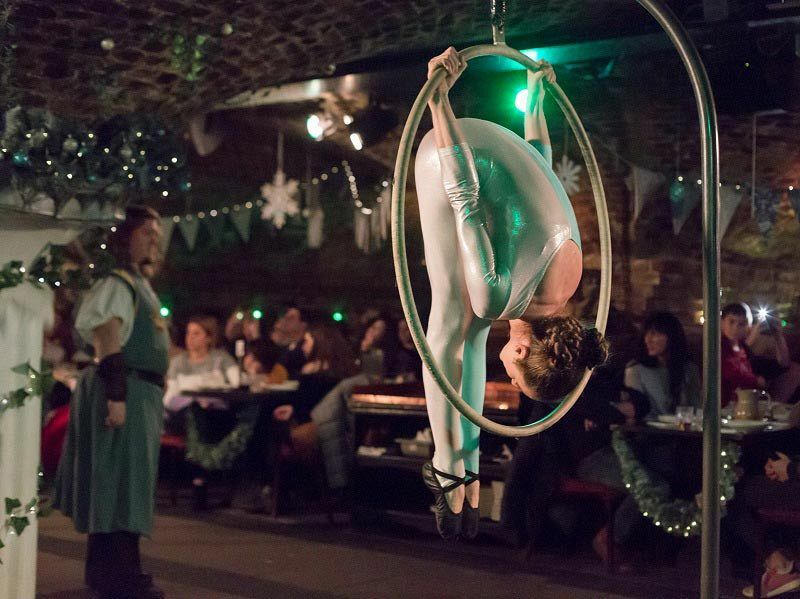 It won’t be long until your dedicated wench serves the banquet – it’s time to get stuck in and revel in over two hours of live entertainment which features bold knights, court jesters, contortionists and aerial acrobats, who will keep you mesmerised. Should you need a top up of ale or wine, simply bang your fists on the table and shout for your wench, who will provide you with more drinks to quench your thirst! After the food and entertainment, you'll be able to finish off the night with plenty of late-night dancing at the venue's disco. Expect some of the best music around, which will keep you moving until the early hours! 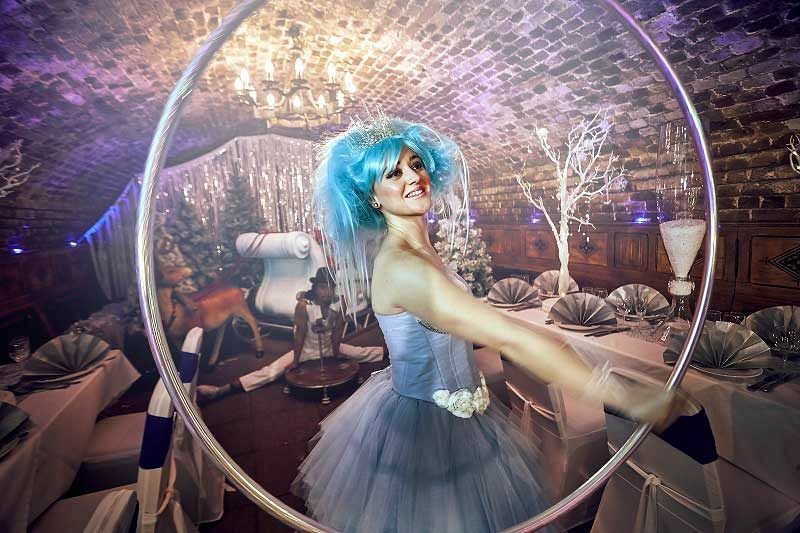 There's no better place in London to make your festive party truly stand out!